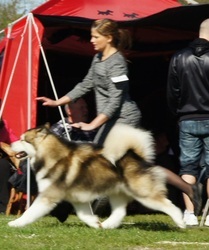 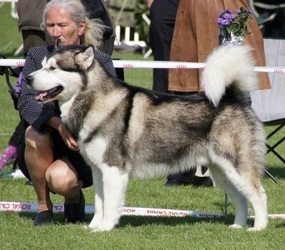 I went to the Alaskan Malamute Club of America´s National in 2009 in hope to find a sire for my next litter...I sat in a plastic chair for days from 8 in the morning till 5 in the afternoon...looking for that special dog...and BAM there he was...he blew me away with his confidence, his structure and type. 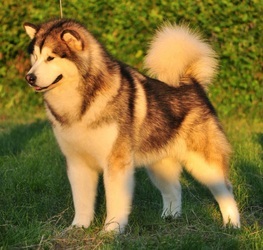 I almost litteraly fell out of the chair. This combination resulted in a litter that exceeded far byond my expectations. 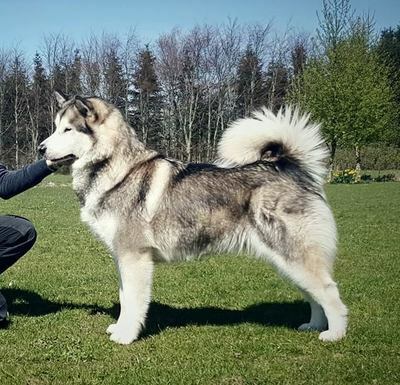 By the age of almost 3 (as I write) almost every puppy from this litter is a champion - some of them are BIS winners, Junior world winners and first of all all healty and happy dogs. 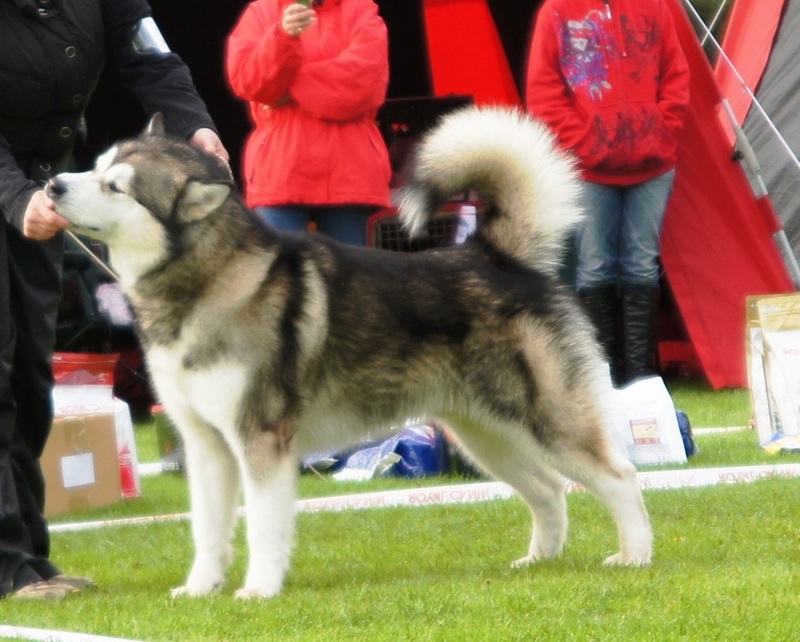 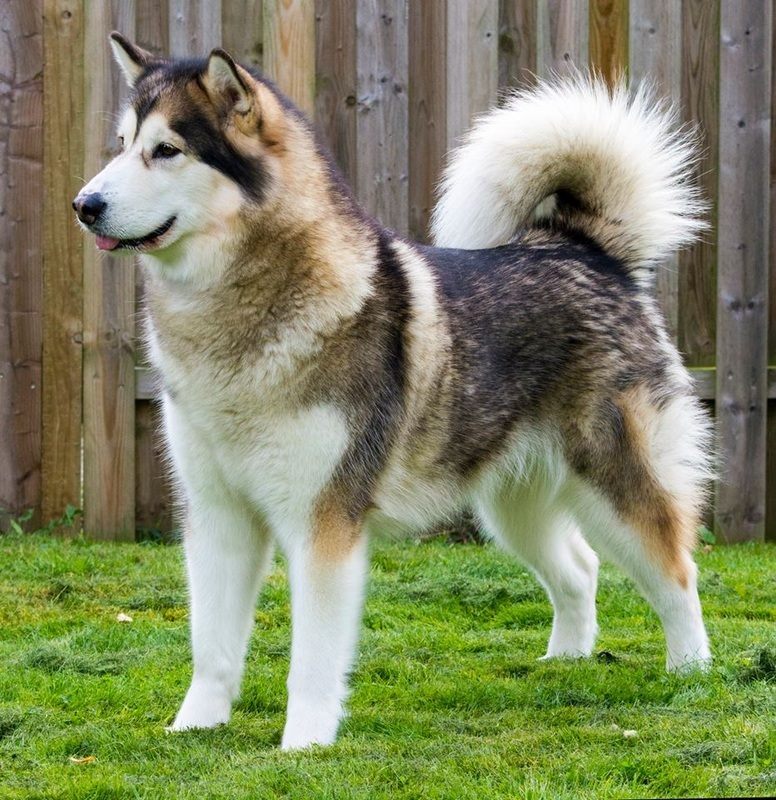 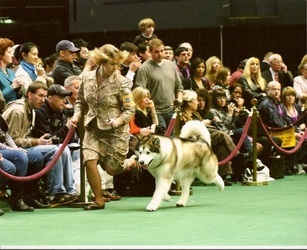 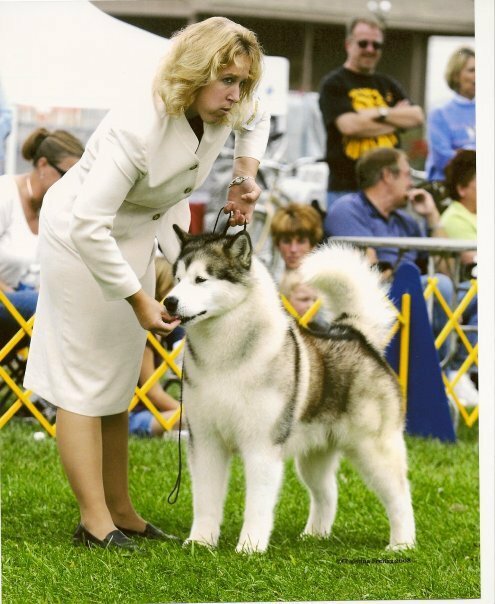 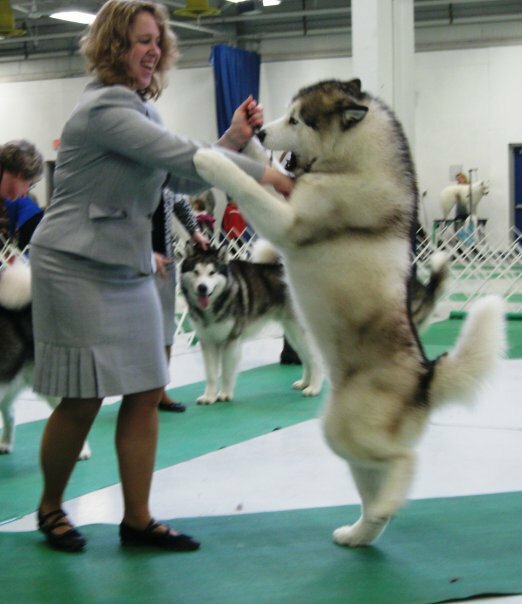 Icing on the cake was absolutely the World Dog show in 2011 were My Alaskan Icy Cougar is Junior World Winner, his brother My Alaskan Norht Face is res. 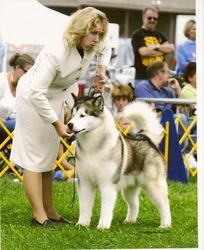 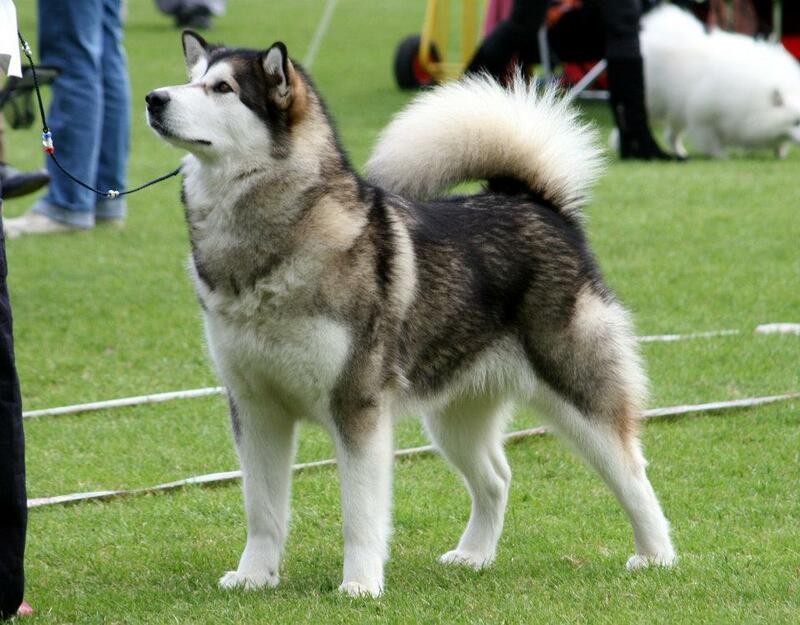 junior world winner - and sister My Alaskan Winter Dream is placed 3. best in the junior class. BIG thanks to Lisa Ryer, Icefall Kennel to make this happen - I hope she enjoys the ride.